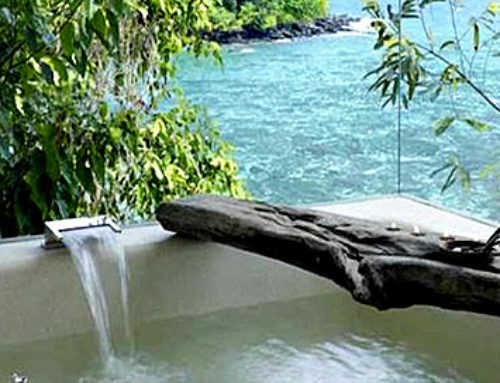 Here is a major wowza-tasic getaway! 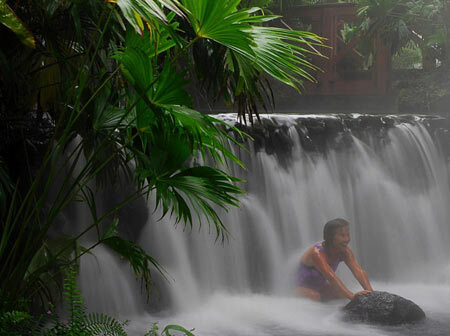 Tabacon Thermal Hot Springs in Costa Rica. Oh. My. Gawd. This Diva has had the great good fortune of having been personally pounded and pummeled by the waterfalls at Tabacon then left to drift in 110 degrees. With just enough energy left to paddle up to the pool-bar for a coconut juice. Trust me – Tabacon is a Diva Dream come true! See that hottie volcano in the background? 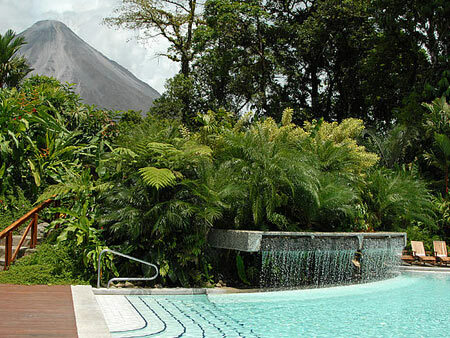 That’s Arenal and “she” makes all this glory possible! 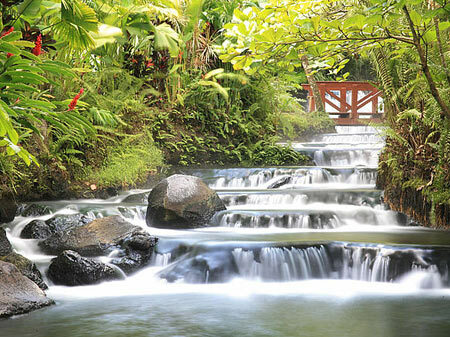 What happens is the underground Tabacon River flows through the magma in the volcano, and the water gets heated up and the springs absorb minerals that are hanging out in the magma. 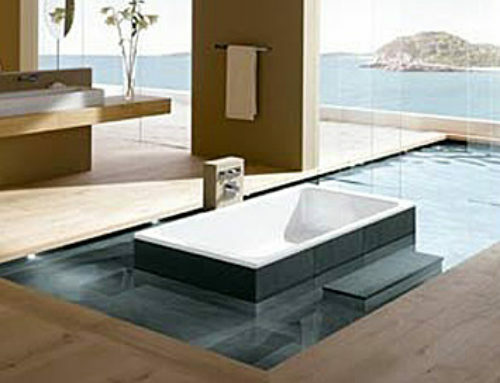 Then all you have to do is hang out in the water and reap the benefits – how cool/hot is that? The chemical effects are related to the minerals and other substances in the water, which are transferred to the skin and bloodstream through osmosis. The physical effects are due in large part to the water temperature, which helps dilate the skin, thus improving oxygen flow in the tissues that are being treated. The heat also encourages the flow of natural sedating substances in the body, encouraging muscle relaxation. Altogether, these effects create of a sense of wellbeing. And what does that remind you of? 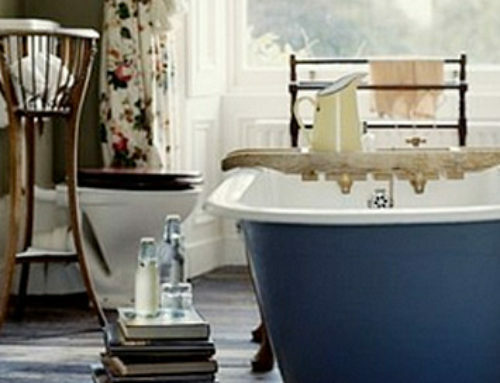 Hot water, minerals (Epsom salts), sense of well-being and relaxation? He-eeeeeeeeee-ll-o! 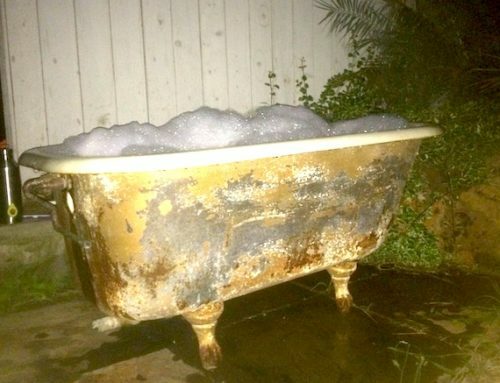 Well, a BATH of course. Ok, so maybe you don’t have a waterfall in your tub, or you can’t jet off to Tabacon this weekend, but you have everything else! 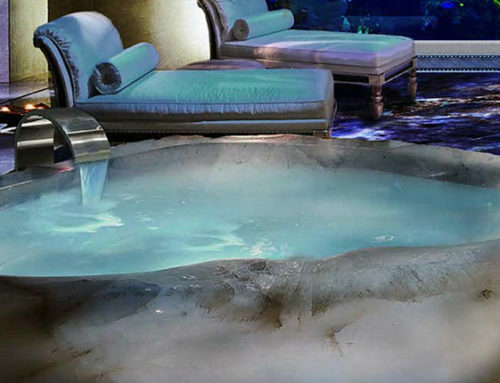 Make your own private Tabacon in the tub tonight and add this incredible Spa to your list of “Absolutely Must Do’s”. Click here for more info and gorgeous images.